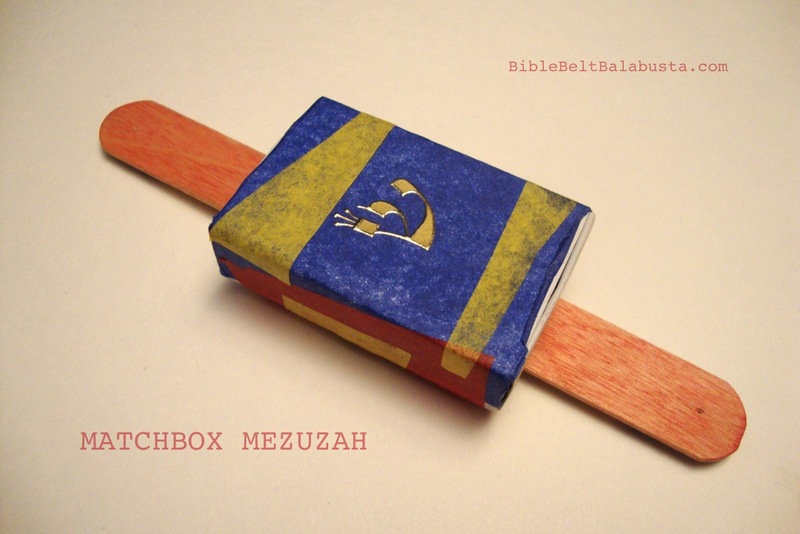 See Make a Mezuzah page for mezuzah basics. 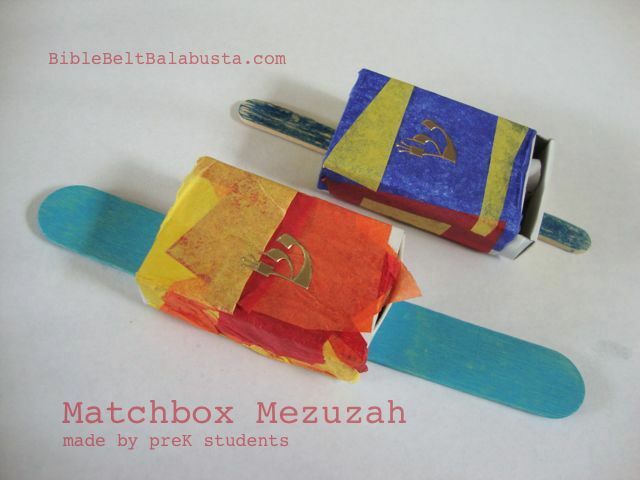 See my Kveller.com article about Matchbox mezuzot here. It has nicer photos! 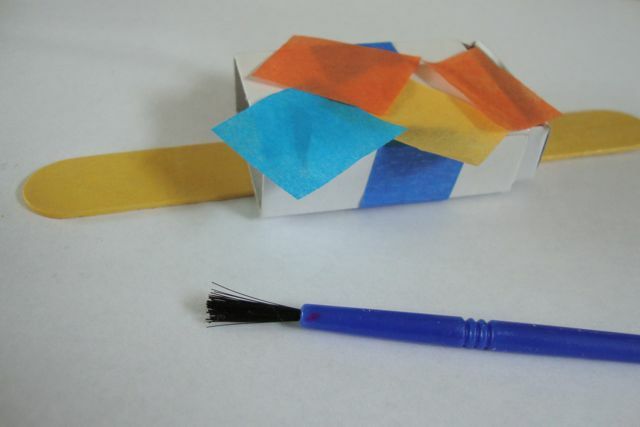 Playing with matchboxes is irresistible for any age, so this is a particularly hands-on craft. 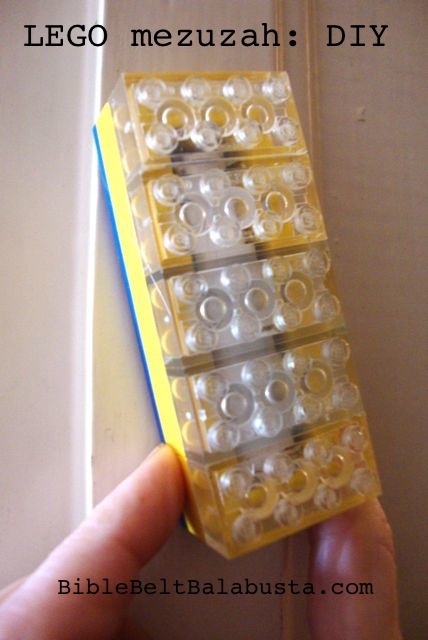 Use empty matchboxes from home, or buy blank ones if you need multiples for a group project. See Resources below. 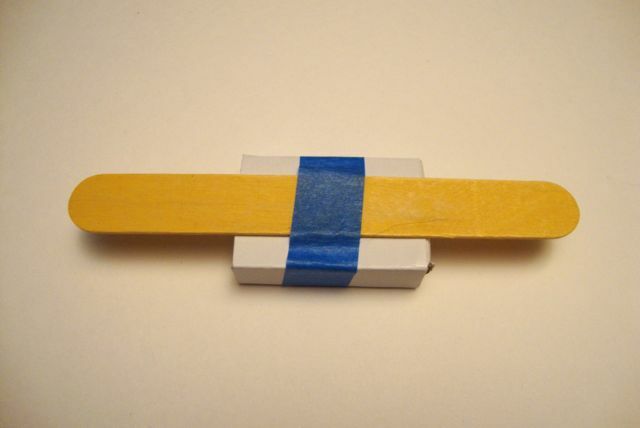 Tape the stick to the back of the matchbox lengthwise. It doesn’t matter what kind of tape because you will cover it with starch and tissue in a moment. Don’t tape the box shut. 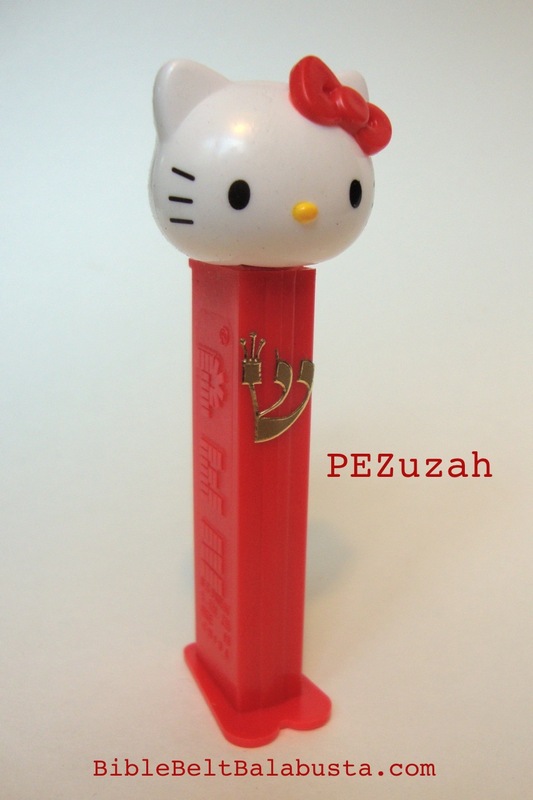 Back of mezuzah, showing tape. Ready to decorate. Brush thin layer of starch or glue on matchbox—including over the tape—and then place individual layers of the tiny tissue paper squares everywhere except the open ends. Make sure the box will still slide open and shut. Top with a shin sticker if you have it. 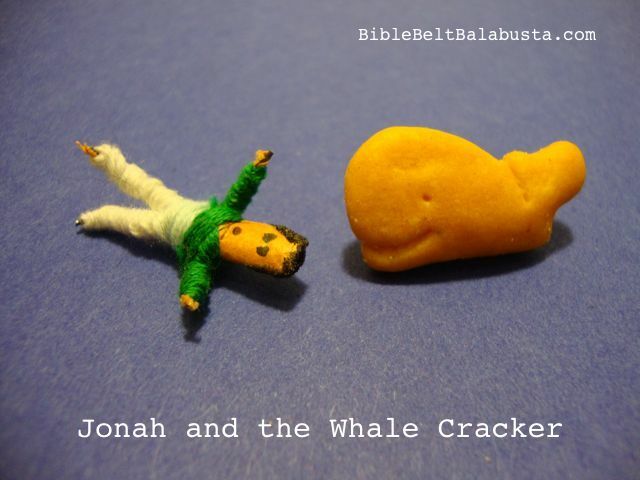 Or, wait until the box is dry and write a shin with permanent marker or rubber stamp. 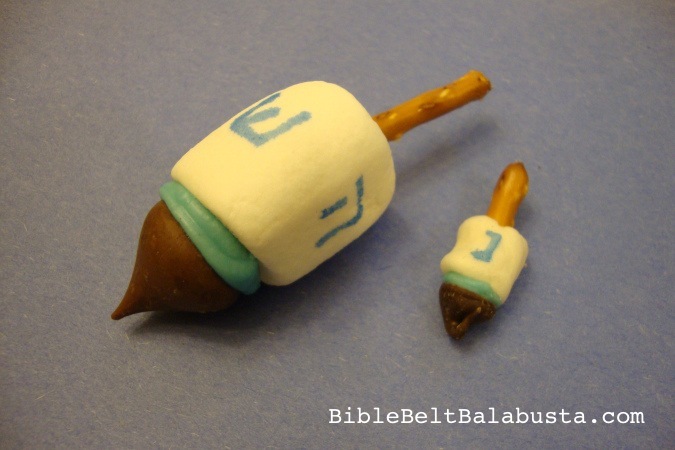 Mount with tape as suggested above, or pierce wooden stick near the top and bottom, as per “real” mezuzot. These sticks split easily, so you’ll need to reinforce the front and back with a strip of thick tape before you make a pilot hole with a thumbtack. 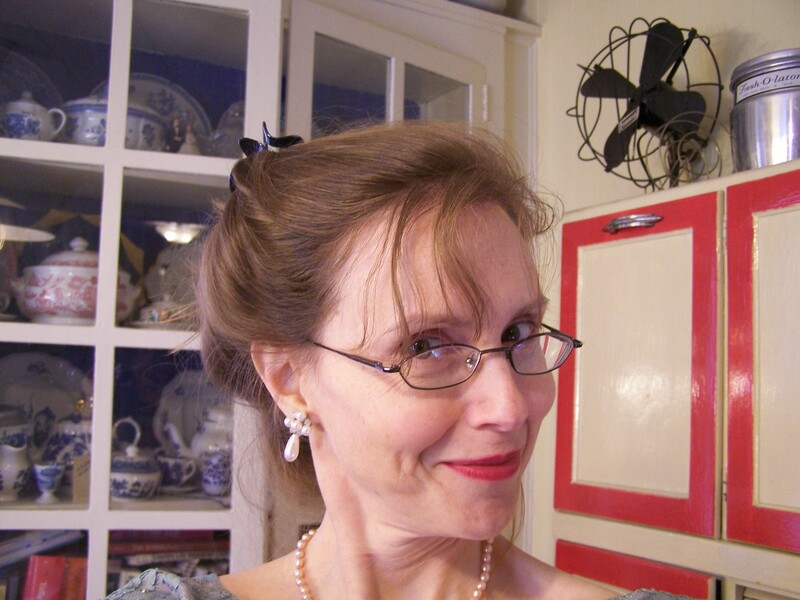 Remove the tape from the front side and proceed with a very narrow screw or tack. If the matchbox gets glued shut, just wait for it to dry and run a sharp knife along the opening. 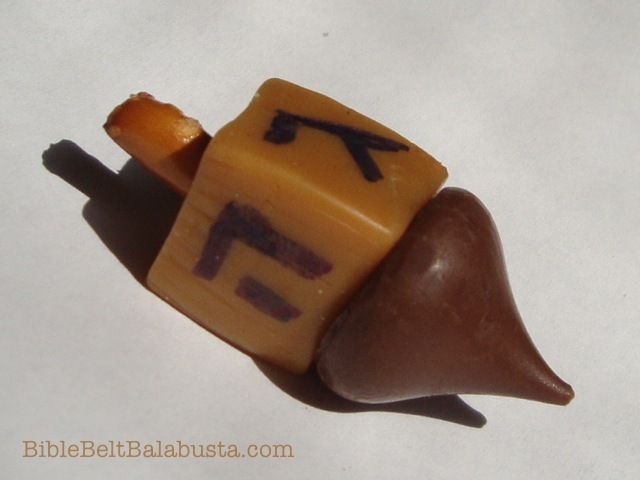 •Hebrew rubber stamps and stickers are at OyToys.com and Benny’s Educational Toys. The crowned shin stickers are here.